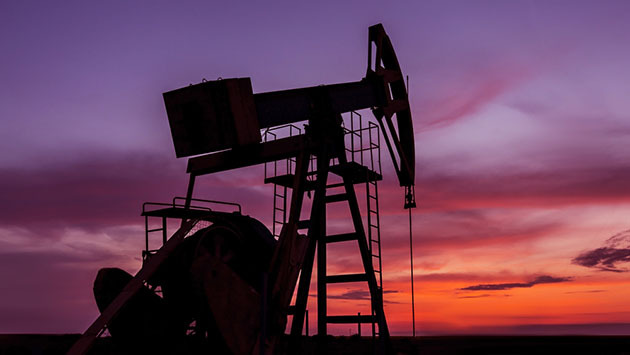 March 18, 2019 (Investorideas.com Newswire) A Raymond James report provided reasons for the upward revision and detailed areas of potential growth for this Texas-based entity. In a March 8 research note, analyst John Freeman reported that Raymond James increased its target price to $24 per share from $22 and reiterated its Strong Buy recommendation on Kimbell Royalty Partners LP (KRP:NYSE), whose stock is currently trading at around $18.15 per share. "We remain highly confident in Kimbell's long-term outlook, particularly following the recently completed acquisitions last year and the roughly $151 million deal with Phillips Energy/EnCap set to close later this month," Freeman explained. Specifically, the analyst noted, highlights going forward are the limited partnership's (LP's) mineral interest business model, the low declines rates of its proven developed producing (PDP) reserves base and its solid track record in acquiring accretive assets. Raymond James anticipates "continued strength in operator activity on Kimbell acreage along with an improved commodity price environment," added Freeman. He noted two major areas in which Kimbell could grow. One is acquisitions. Kimbell's management has stated it is looking to make accretive acquisitions regardless of size and currently is reviewing about 30–50 possible transactions of a smaller scale, in the $10–20 million range. However, because competition for mineral assets in key resource plays is increasing, Raymond James expects to see Kimbell making and structuring deals in this market creatively, such as partnering with smaller firms, such as in a joint venture arrangement, to improve the economics. The second area of potential growth for Kimbell is building on its solid foundation of proven developed reserves, 33.6 million barrels of oil equivalent worth at year-end 2018, a 118% year-over-year increase. "Kimbell replaced about 9x production last year and maintains a reserve life of approximately 15 years," Freeman commented. Analyst Compensation: Equity research analysts and associates at Raymond James are compensated on a salary and bonus system. Several factors enter into the compensation determination for an analyst, including i) research quality and overall productivity, including success in rating stocks on an absolute basis and relative to the local exchange composite Index and/or a sector index, ii) recognition from institutional investors, iii) support effectiveness to the institutional and retail sales forces and traders, iv) commissions generated in stocks under coverage that are attributable to the analyst's efforts, v) net revenues of the overall Equity Capital Markets Group, and vi) compensation levels for analysts at competing investment dealers. Raymond James & Associates makes a market in shares of KRP. Raymond James & Associates has managed or co-managed an offering of securities for Kimbell Royalty Partners L.P. within the past 12 months.